We were recently approached with a wonderful mental health project by a lady called Barbara. What follows is her project to raise awareness and encourage us to think more about our feelings and emotions. It is titled ‘Brooch The Subject’. The photograph enclosed shows a collection of brooches. 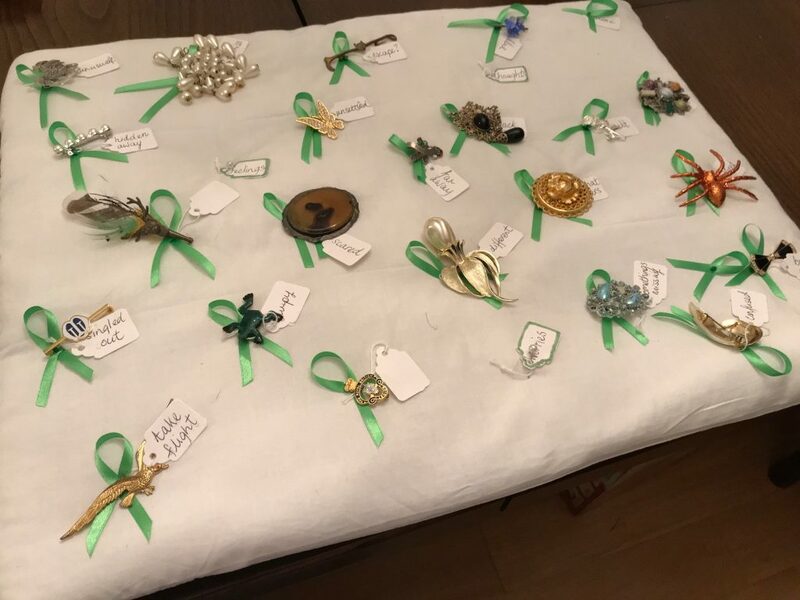 Each individual brooch is labelled to represent a thought, a worry or a feeling and each has a green ribbon attached to represent Mental Health Awareness. Please support Mental Health Awareness by wearing your own brooch together with a green ribbon. By doing this it is hoped that attention will be drawn and an opportunity may be provided for discussing the issue of mental health openly. The poem “Brooch the Subject,” was inspired by this collection of brooches. Then another one, another two. “Brooch the subject” seemed to fit. A fourth, it seemed to make me cry. And yet more still, if worn what would people say? So many, which one, how and when, thoughts torn? Should I wear this one, would it go? Impossible thoughts, “they told me so”. Let us “brooch” the subject, today. B J R September 2018. Unusual, hidden away, hard to miss, escape, blue, alone, attention needed, guilt, black days, unsettled, damaged, scared, far away, black days, frightened, all that glitters, different, singled out, take flight, jumpy, PTS, some things missing, confused and bow out. 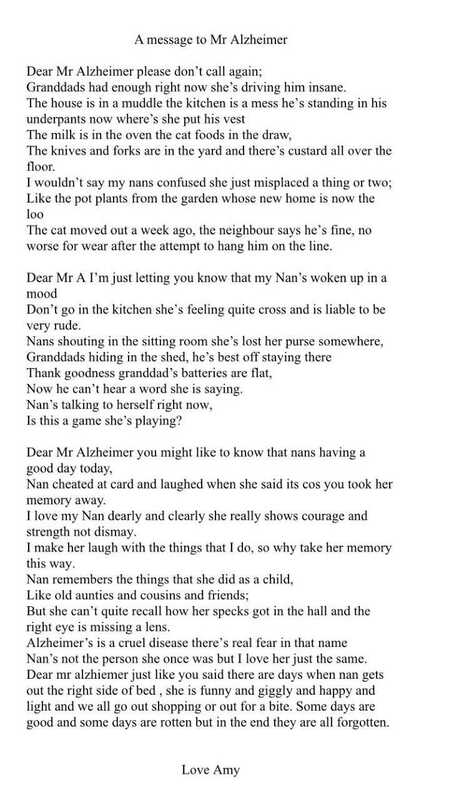 There is also a second poem which was written by a granddaughter about her Grandmother who had Alzheimer’s. Writing this helped the family to cope with the reality of this disease. You can click here to view this poem.